Features • 1) ICANN59 Report, 2) .NET Greed: ICANN + VeriSign $VRSN; 3) A Bad Omen for the CCT-RT (Competition, Consumer Trust, and Consumer Choice Review), 4) ICANN's Junket Culture, 5) ICANN60, Abu Dhabi, Oct 28-Nov 3, 6)Other ICANN News: a. ICANN Public Comment periods closing in July, b. Holding ICANN Accountable (IRS Form 990), c. GNSO Projects List, d. KSK rollover, e. Thick Whois for .COM and .NET, f. Cost of domain registration hampering Africa's internet, 7) Most Read. Video above published by ICANN on June 27, 2017: Verisign's Chuck Gomes, Chair of the PDP (Policy Development Process) Working Group on the Next-Gen Registration Data Services (RDS) to replace WHOIS. Chuck explains what some of the Working Group's struggles are and how the ICANN59 Cross-Community Session helped explain the complexity of this topic. (Note: Chuck is retiring from Verisign but will continue as Chair of the Working Group). ICANN FY18 Operating Plan and Budget | ICANN.org 24 Jun 2017: adopted-opplan-budget-fy18-24jun17-en.pdf (1.37 MB). ICANN Five-Year Operating Plan | ICANN.org 24 Jun 2017 adopted-opplan-2016-2020-24jun17-en.pdf (568 KB). 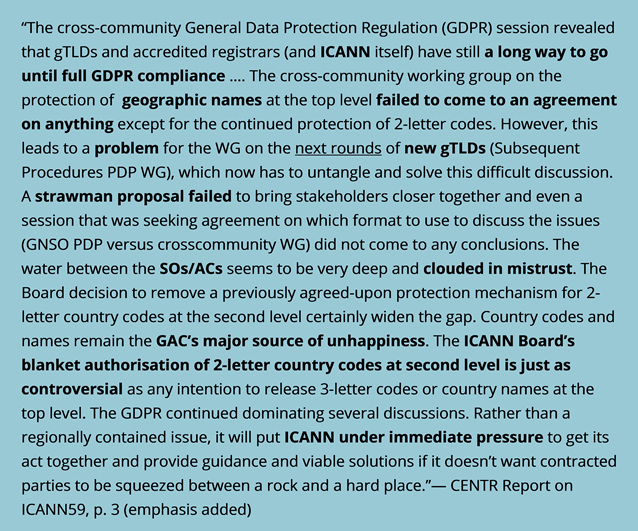 Cross Community Working Group on Enhancing ICANN Accountability--CCWG-Accountability--Co-Chairs statement (pdf): "... on the Jurisdiction sub-group’s recent discussions regarding the possibility of changing the location of ICANN’s headquarters or creating a blanket immunity for ICANN. In this session it was confirmed that it was unlikely there would be consensus in the CCWG for any recommendation that involved changing ICANN’s headquarters’ location or jurisdiction of incorporation or creating a blanket immunity for ICANN. 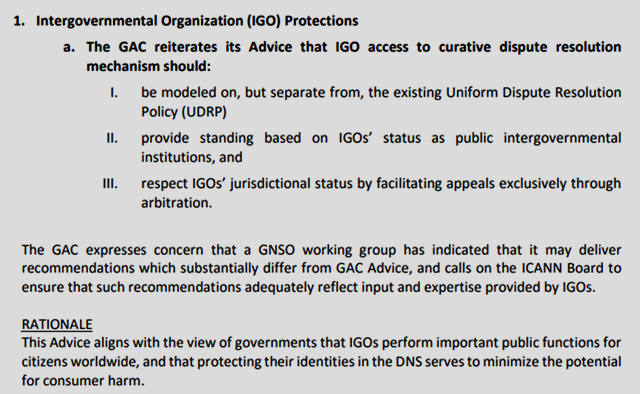 As such, the sub-group’s work shall focus on recommending accountability improvements that are issue-driven remedies which build upon ICANN’s status as a non-for-profit organization headquartered in California ..." (emphasis added). If you don't like ICANN's monopolistic crony capitalism, the "presumptive right of renewal" and sweetheart deal the ICANN organization gave away to Verisign re: .NET (doubling Verisign's fees every 7 years into perpetuity), as well as imposing ICANN fees that are 3x other gTLDs), too bad! 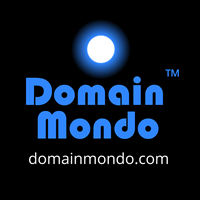 Dump ALL your .NET domain names! The .NET tragedy is symptomatic of all that is so wrong with ICANN--corrupt, inept, or dysfunctional. And the deal ICANN gave away to the new gTLDs registry operators is even worse! (for registrants). Consumer (registrant) protection is almost completely disregarded in the entire ICANN ecosystem, something the U.S. Department of Justice Antitrust Division noted in 2008. ICANN operates almost completely counter to the ideals and values promulgated in RFC 1591 by Jon Postel in 1994. "I am resigning as a member of the Review Team effectively immediately. Do not associate my name with the Review Team's report." --Stanley M. Besen, Senior Consultant, Charles River Associates, June 25, 2017. Each ICANN Meeting (three a year), costs ICANN, on average, US$4 million (pdf), including about US$1 million in airfares, hotels, and $$ per diem for hundreds of select stakeholders / attendees a/k/a "ICANN insiders" who have largely been "captured" by the ICANN organization itself to represent and defend ICANN as its self-designated "ICANN community," as opposed to the broader "global internet community" a/k/a "global multistakeholder community." Unlike ICANN's "contracted parties" (registrars and registry operators), and ICANN's periodic self-serving statements notwithstanding (in ICANN talk is cheap), domain name registrants have little representation and voice within the "ICANN community." There is no "Registrants Stakeholder Group" in ICANN. By intentional design of ICANN structures, domain name registrants (except corporations and trademark holders) are mostly excluded and marginalized by ICANN which claims to be operating in the "global public interest." The next ICANN meeting, ICANN60 (ICANN's Annual General Meeting), will be held in Abu Dhabi, United Arab Emirates, 28 October-3 November 2017. "After a lengthy debate, the ccNSO decided to participate in the Abu Dhabi meeting, despite strong concerns about participants' personal safety." --CENTR report, p. 3. See also United Arab Emirates | travel.state.gov (Safety and Security tab). b. Holding ICANN Accountable re: ICANN FY16 form 990 (pdf): now 35 days without substantive response from ICANN CFO Xavier Calvez. d. Letter From ICANN CEO Goran Marby to Internet and Telecomm Regulators | ICANN.org--Upcoming changes to root zone DNS Security Extensions marby-to-internet-telecomm-regulators-16jun17-en.pdf [191 KB]--An estimated 750 million people could be affected by the KSK rollover worldwide on October 11, 2017.
e. Thick WHOIS Transition Update | ICANN.org June 30, 2017: "... the ICANN organization approved Verisign's request for a 120-day extension of the 1 August 2017 date in the Thick WHOIS Transition Policy by which Verisign is required to deploy an Extensible Provisioning Protocol (EPP) mechanism and an alternative bulk transfer mechanism for .COM and .NET for registrars to migrate registration data for existing domain names. With this extension, the new date for Verisign's compliance with the requirement is 29 November 2017." See also: Letter from Verisign's Patrick Kane to Akram Atallah | ICANN.org June 20, 2017--issue: Thick Whois for .COM and .NET--kane-to-atallah-20jun17-en.pdf (3.7 MB) requesting "an extension of the August 1, 2017 date of no less than 120 days." f. Cost of domain registration hampering Africa's internet ecosystem | ITWebAfrica.com.